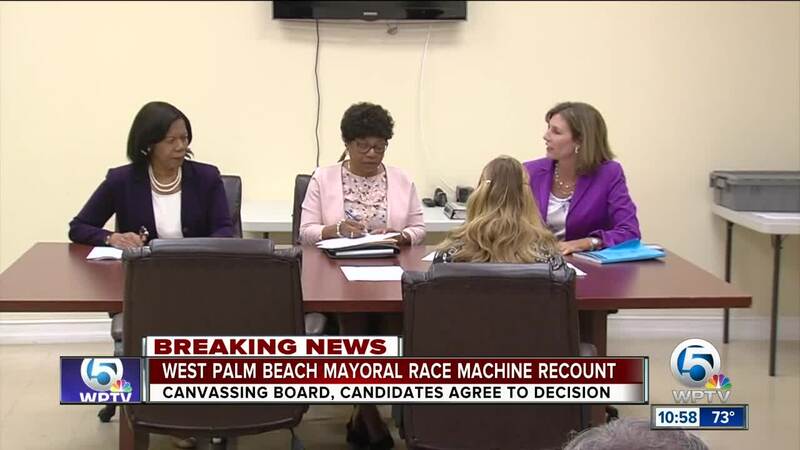 WEST PALM BEACH, Fla. — Keith James was declared the winner Friday in a machine recount of the West Palm Beach mayoral race. 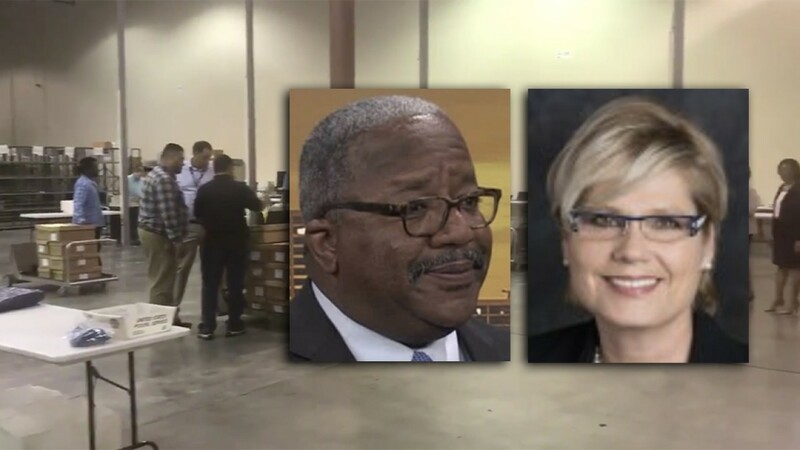 James had declared victory over Commissioner Paula Ryan on Tuesday after getting 50.38 percent of the vote to her 29 percent. A canvasing board met Friday morning and decided to hold the recount, to which both candidates agreed. "Now that the election is behind us, there is work to be done," James told WPTV after the results were announced. "Let's all come together. We're trying to build a city that's united." "I want to thank my Husband, Cliff Hertz, because without his support I would not have been able to do what I have done these past four years. I started on this journey to help the citizens of West Palm Beach because I believe my experience could be helpful and I wanted to serve our city. I appreciate the Canvassing Board of the City for doing their very tough job and seeing that every vote was counted and every opportunity was given to ensure the resident’s voices were heard. The voters have spoken and Keith James will become our next Mayor. I wish to congratulate him on his victory. I promise to continue my efforts to support the residents of this City and I will always stand ready to help where I can. I am interested in many aspects that determine our residents quality of life and I will continue to advocate on their behalf where and when needed. I want to especially thank my family, friends and supporters who worked so hard over the course of this campaign to help bring our message to the forefront of our conversations. Our neighborhoods need attention; our local businesses need the support of its government, and our children need quality education. We need to find ways to build a pathway to the future for all our communities and we have to find ways to keep all our citizens safe. We highlighted some important needs and I am happy to see that my opponent, the winner of this election has adopted many aspects of our vision. I look forward to seeing him be successful and if there is any way I can help I stand ready to work for our great City."